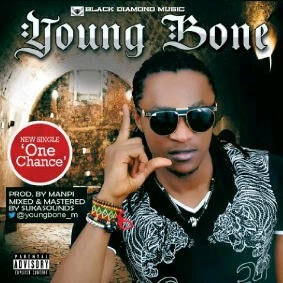 Emmanuel Ndueghe aka YOUNG BONE started his music career from home as a kid , born in the late 80s. His siblings saw the talent in him and encouraged him to join the Church choir. After some years of musical transformation, he decided to test his skills and conquer the fear factor in him he entered for a competition in 2008. Young bone won the grand price of Star Road Quest and that turned his talent into carrier . As a multi talented youth filled with energy, young bone has been recording and performing until he met with the CEO Black Diamond Mr Nick D Chai .the record label is based in Abuja , Nigeria .